In 1950, Smith along with Alice Bauer, Patty Berg, Bettye Danoff, Helen Dettweiler, Marlene Bauer Hagge, Helen Hicks, Opal Hill, Betty Jameson, Sally Sessions, Shirley Spork, Louise Suggs and Babe Zaharias founded the LPGA, the oldest women’s professional sports organization in the world. Hagge andSpork are the surviving Founders. 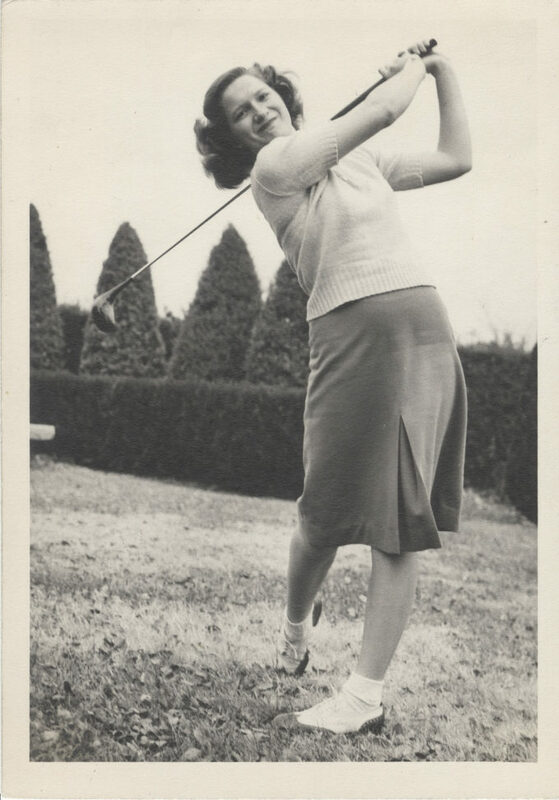 One of the tour’s most effective spokeswomen, Smith was president of the LPGA from 1958 to 1960 andin 1973 became the first woman to work a men’s event as a television broadcaster. She was inducted intothe World Golf Hall of Fame in 2006. Smith began playing at 11 and her father said he’d buy her a bicycle when she broke 40 for nine holes,which she managed to do at 14. When Marilynn won the Kansas State Amateur three consecutive timesshe was called “The Blonde Bomber” because she blasted the ball 25 yards past everyone else in the field. Caroline Inglis, now an LPGA member, has first-hand experience with Smith’s hard work for equality.Inglis received a Marilynn Smith grant several years ago while a freshman at the University of Oregon.